The other day someone asked me what I do when I have to run in the heat. Being the wiseacre that I am I replied “I sweat”. Helpful? Probably not, but in reality it is in fact good advice. If you are running in the heat make sure you don’t stop sweating. It has happened to me a couple of times. I was running along feeling good and all of a sudden I realized I had stopped sweating. So I STOPPED RUNNING! Our bodies use sweat as a cooling mechanism. In order to sweat we need to be properly hydrated. It is possible that when I stopped sweating while running my body had run out of hydration to pump out and cool me down. I am still waiting for someone to set up a water station for me when I run around my neighborhood, but in the meantime I am learning to carry my own fluids. It’s kind of a drag to have to haul around 20 – 30 ounces of water or Gatorade but if it keeps me moving it is SO worth it. Remember, we sweat to keep the skin cool, if we stop sweating we are risking overheating and that can be downright dangerous! As a girl with curves, it is not always easy to find running gear (particularly shorts) that not only fit well, but are comfortable AND have at least one decent pocket. That is why I am excited about my new “Happy Puppies” running shorts. What do you call one Flip Flop? A Flip or a Flop? 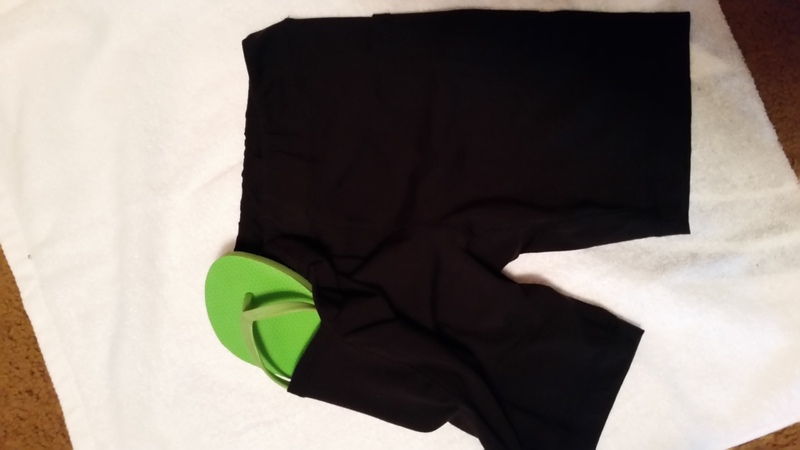 These are the “Mandy” style which is long enough to prevent that dreaded chaffing while still being SHORTS. And check out those pockets, TWO of them! You never know when you are going to need to carry your giant phone and flip flops on a run! “Happy Puppies” is a really cool company that does good things. Check out their website. Note: I am not a spokesperson for “Happy Puppies”, I just really dig them! 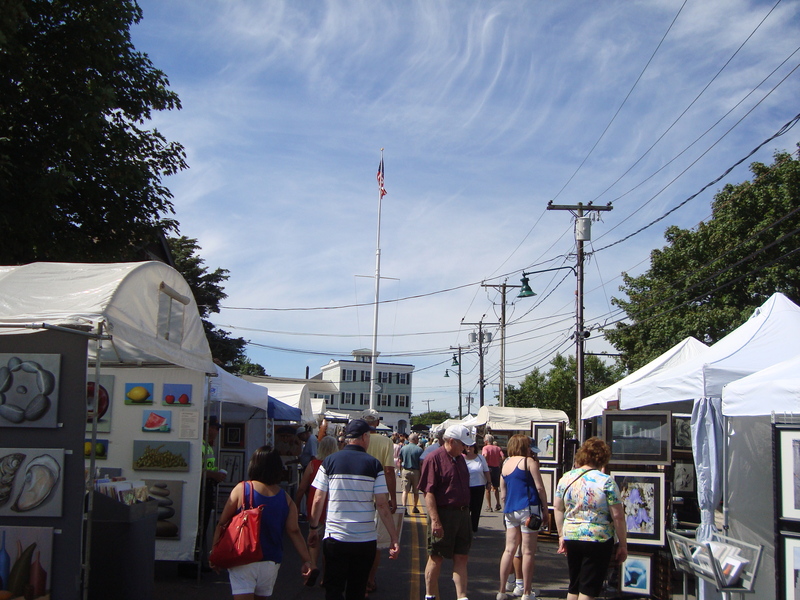 Christine, Joey and I found our way to Mystic on Saturday for the annual Art Festival. 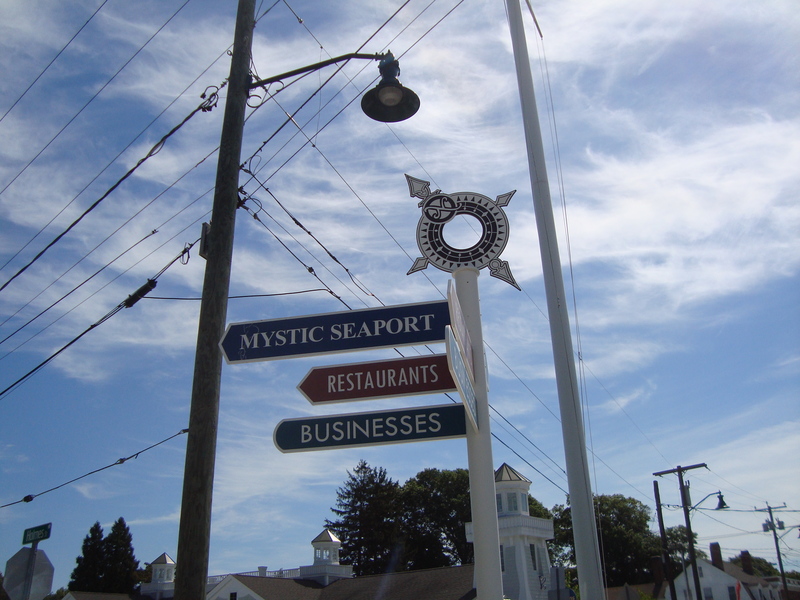 When I was growing up my family had a cottage in Mystic and that is where I spent my summers. Plodding around town brought back many happy memories. We stopped and watched a silkscreen demonstration. Have you ever seen this, it is so cool. This is how they made those nifty marbled papers on the inside covers of books back in the day. 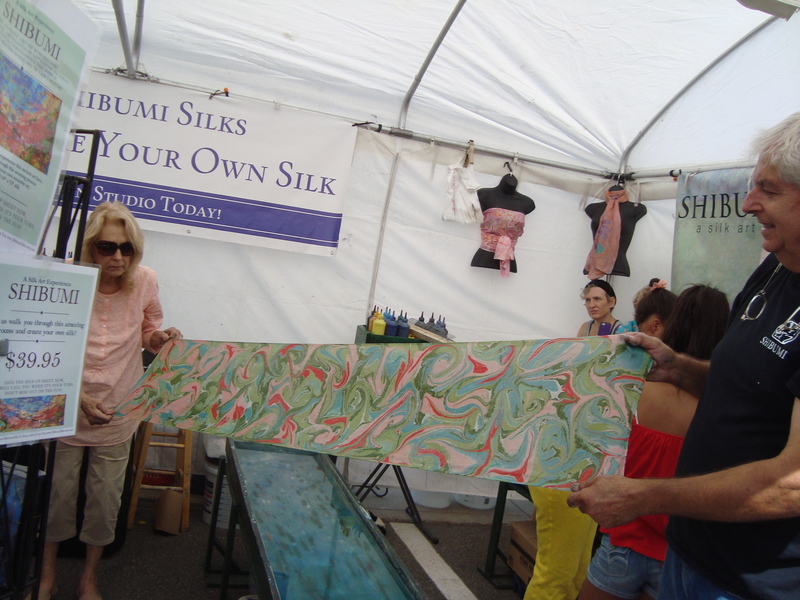 Now the technique is used to make beautiful, unique scarves. First, add the oil paint to the water. Next the paint is manipulated, swirled, pulled, etc using either a metal rake-like tool or a simple pointy stick. This lady used the pointy stick for her design. 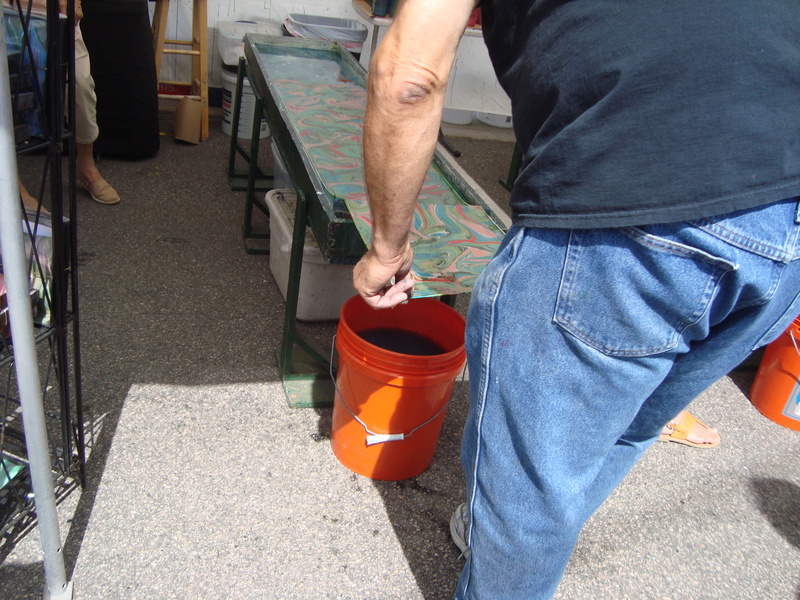 The silk is placed on top of the water and paint for a couple seconds. Then it is pulled out and wrung out in a bucket of water. Now the piece is complete and you have a one of a kind scarf! Smile lady, this is for my blog! The entire process is a little hypnotic to watch. 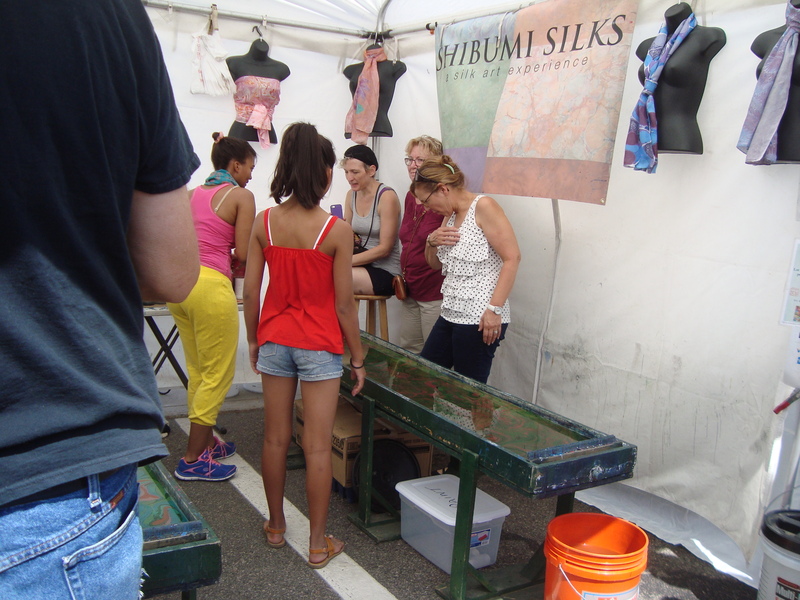 Let’s go back next year and make a scarf together…start thinking about colors! 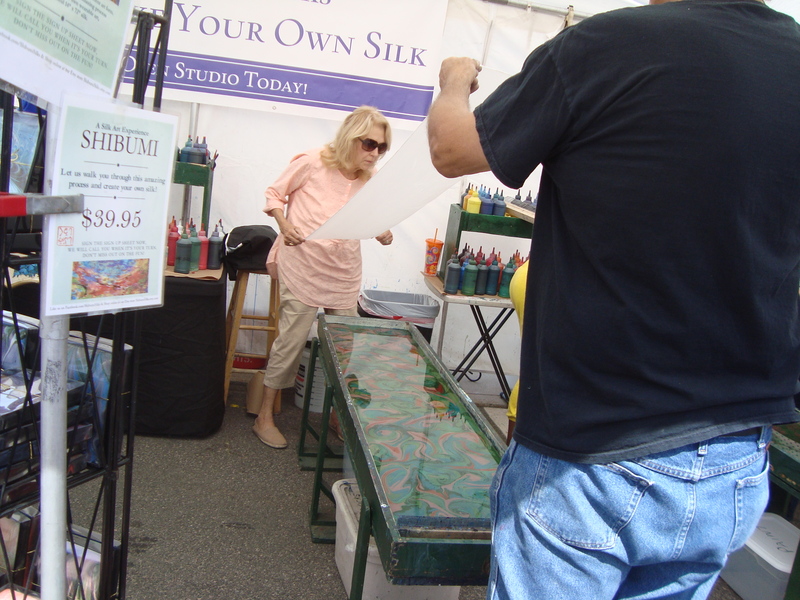 There were SO MANY incredible artists at the festival, I am still smiling. 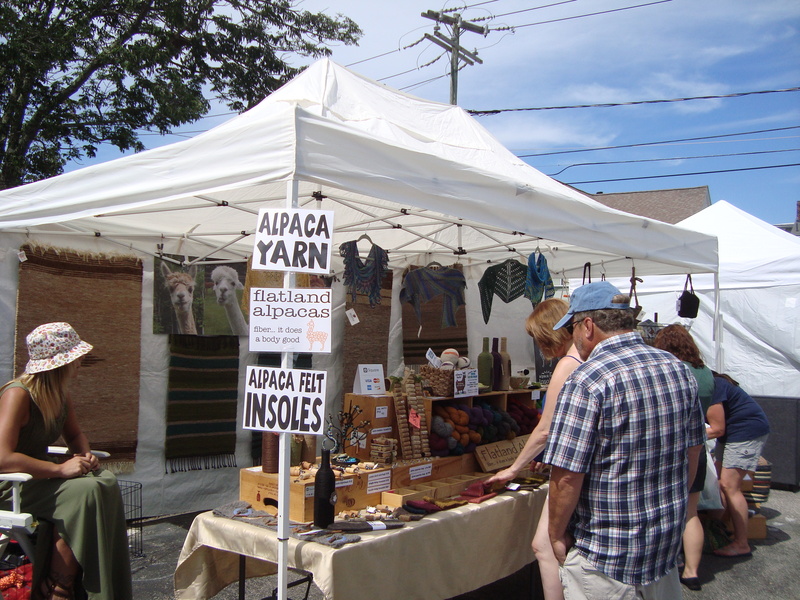 I snapped this picture walking by the Alpaca booth. I wish I had stopped to inspect more closely. I find Alpacas slightly fascinating. The “Dryer Lint Balls” what?! Now I am off to meet Jenn at the track. Enjoy the rest of your weekend, thanks for stopping by! What are your feelings about Alpacas? Llamas? Running Shorts, Skirt or Capris?